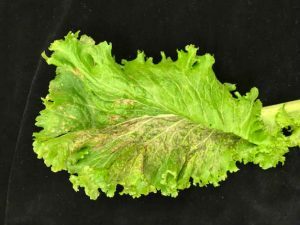 Downy mildew is a fungal pathogen that affects all cultivated plants and weeds in the crucifer family. 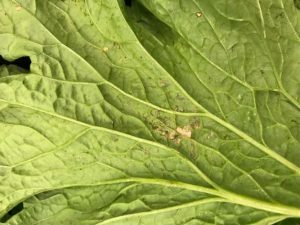 It can be a serious problem in commercial production of cabbage, broccoli, cauliflower, radish, turnip, mustard, collard, and cruciferous greens. 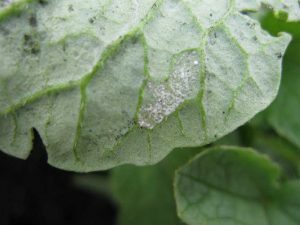 Under favorable conditions, it may cause serious losses in the field or may develop after harvest and cause deterioration of product quality during packing and shipping. 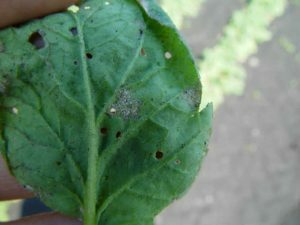 Sound cultural practices, such as sanitation, crop rotation and effective row spacing, are important tactics used to manage the disease. 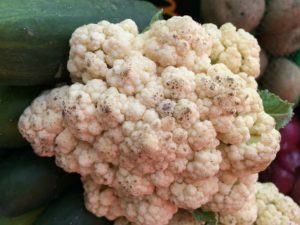 Fungicides and disease-resistant varieties (broccoli only) are also available for use in an integrated disease management program. 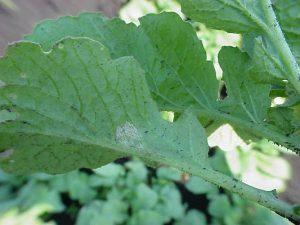 Downy mildew on radish leaves (top left; top center; top right); cauliflower (bottom left); and mustard greens (bottom center; bottom right).